Grandesign built The Grand Tour Mayhem Hall Pub at the Auto Show in Los Angeles and Detroit. The pub featured a functional bar, authentic wood and cobblestone flooring and plenty of eclectic props that one could expect to find hanging inside a classic British pub. 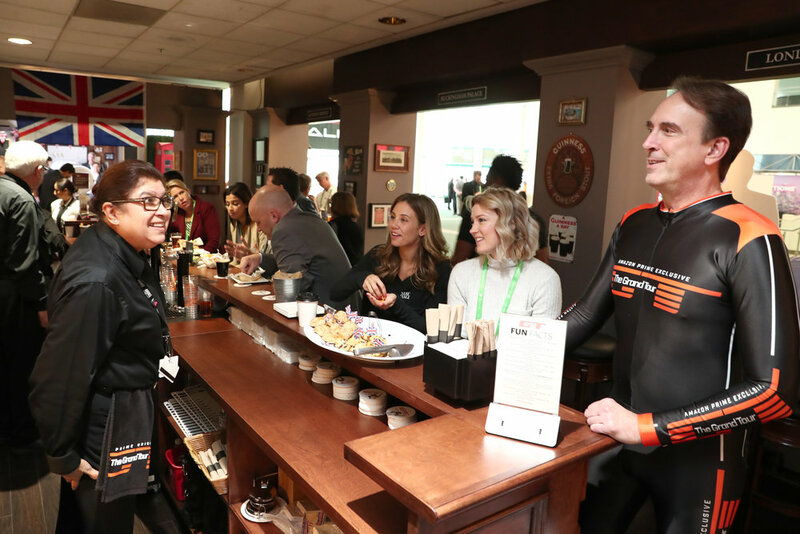 Food and drinks (scones, fish & chips,bangers & mash, British beer) were served as the media took a break from walking the show floors to relax and network with each other.